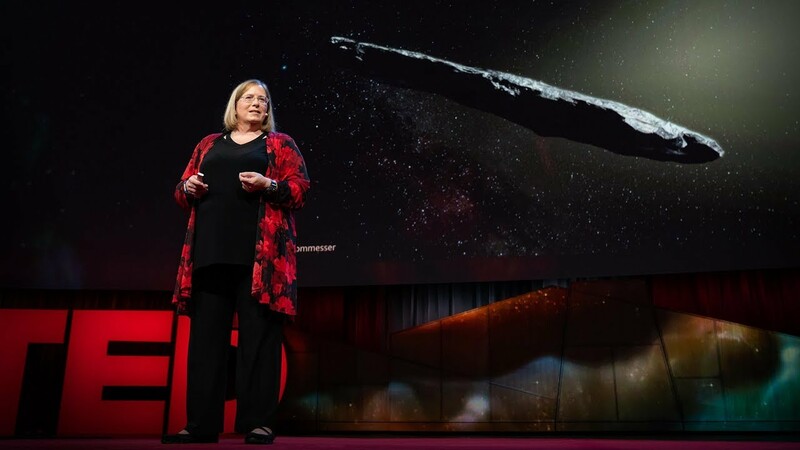 Oumuamua: An Alien Spacecraft or..
" Now a pair of Harvard researchers are raising the possibility that Oumuamua is an alien spacecraft. As they say in a paper to be published Nov. 12 in The Astrophysical Journal Letters, the object "may be a fully operational probe sent intentionally to Earth vicinity by an alien civilization." The researchers aren't claiming outright that aliens sent Oumuamua. But after a careful mathematical analysis of the way the interstellar object sped up as it shot past the sun, they say Oumuamua could be a spacecraft pushed through space by light falling on its surface  or, as they put it in the paper, a "lightsail of artificial origin."..." " Loeb and his collaborator, Shmuel Bialy, a postdoctoral fellow at the Harvard-Smithsonian Center for Astrophysics, acknowledge that the alien spacecraft scenario is an "exotic" one. And perhaps not surprisingly, other space scientists have strong doubts about it. " Who were the referees for this paper? Now, this is an opportunity to initiate a new, out of whole cloth, alien spacecraft conspiracy "theory" with a peer-reviewed scientific paper to back it up. Of course, NASA is covering it up, the media are not going to tell us the whole truth, and other scientists were already paid to discredit the facts. Maybe the so-called tumbling is engineered to provide artificial gravity. Last edited by inertia; 11-05-18, 11:34 PM. But what better way to gin up support for NASA's science missions? Toss in some Roswell and Area 51 references and the headlines will grab more attention. All we got from the moon missions was a bunch of rocks and dirt, I cold sell NASA rocks and dirt for far less money. Now a mission to meet ET, would be really cool. I wonder if the Masons will be on board? We both know that NASA is a way too serious organization for this kind of weirdness, but university professors with clout can have -speculative- fun occasionally. As it turns out the Harvard researchers' speculation is probably wrong.
" Is this explanation likely? No, of course not. Is this hypothesis the result of hopeless crackpottery? No, that's not true either. Both the authors of the paper establishing the unexplained acceleration and the authors exploring the light sail idea are respected scientists with unblemished research histories and no hint of scientific misconduct or otherwise suspicious behavior. So, what could it be? Well, I suppose the extraterrestrial origin is possible but very unlikely. " Extraordinary evidence is required here. This photograph was released by the aviation threat identification program. I guess we could try the phrase "Klaatu barada nikto", it worked in the movie, or maybe we ought to keep a collection of Slim Whitman 8 track tapes. Neither of us probably have the time to watch the following TED talk about it, but should one of us find some time it seems to be promising. It's just a "tad" longer than 13 minutes long. An interesting video. Is the change in velocity as it passed by the sun explained through Newton's mechanics, that is, does its behavior conform to that of a passive object? The rate change in velocity has been described as a "non-gravitational acceleration" and could be due to solar radiation pressure if the object had a small enough mass-to-area ratio. If it has a small enough mass-to-area ratio, what kind of object would it be? As explained in the video there are too many degrees of freedom in this tumbling object to constrain a well-resolved geometry. It could be a curved sheet, a hollow cone, or an ellipsoid conical shape among others. Asteroids and comets have mass-to-area ratios that are orders of magnitude larger than estimates for Oumuamua ( O - mooa - mooa ). Is it a new class of interstellar material?